Fraser Island is known for nature, wildlife, beaches, outdoors, and historic sites. Your plan includes some of its best attractions: contemplate the waterfront views at Lake McKenzie, enjoy the sand and surf at Eli Creek, stroll through Indian Head, and take a peaceful walk through Central Station Rainforest. Vancouver, Canada to Fraser Island is an approximately 24-hour combination of flight, ferry, and car. Traveling from Vancouver to Fraser Island, you'll lose 18 hours due to the time zone difference. Expect much warmer weather when traveling from Vancouver in October: highs in Fraser Island hover around 31°C, while lows dip to 19°C. Wrap up your sightseeing on the 6th (Sun) early enough to travel to Blackheath. Change things up with these side-trips from Blackheath: Norman Lindsay Gallery & Museum (in Faulconbridge) and The Three Sisters (in Katoomba). Spend the 9th (Wed) exploring nature at Kanangra-Boyd National Park. The adventure continues: admire the sheer force of Wentworth Falls, take some stellar pictures from Hargraves Lookout, don't miss a visit to Gallery Blackheath, and delve into the lush surroundings at Coachwood Glen Nature Trail. For more things to do, where to stay, reviews, and other tourist information, read our Blackheath tour planning app . Explore your travel options from Fraser Island to Blackheath with the Route module. 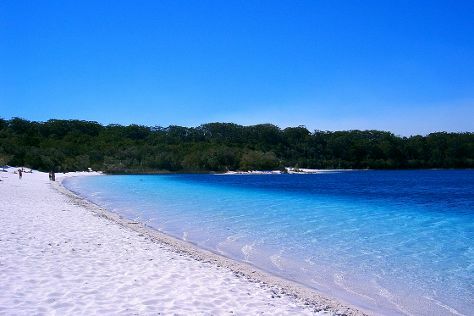 Traveling from Fraser Island in October, plan for a bit cooler nights in Blackheath, with lows around 12°C. Cap off your sightseeing on the 10th (Thu) early enough to travel to Sydney. Sydney is known for nightlife, trails, beaches, parks, and museums. 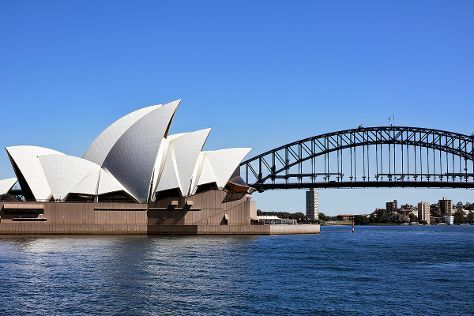 Your plan includes some of its best attractions: enjoy some music at Sydney Opera House, snap pictures at Sydney Harbour Bridge, browse the eclectic array of goods at Sydney Fish Market, and wander the streets of The Rocks. To see photos, ratings, more things to do, and tourist information, read our Sydney trip builder site . You can drive from Blackheath to Sydney in 2 hours. Plan for a bit warmer nights when traveling from Blackheath in October since evenings lows in Sydney dip to 17°C. Finish up your sightseeing early on the 14th (Mon) so you can travel to Melbourne. Dedicate the 18th (Fri) to wine at some of the top wineries in the area. Next up on the itinerary: admire the natural beauty at Royal Botanic Gardens, examine the collection at Melbourne Museum, enjoy breathtaking views from Eureka Skydeck 88, and browse the collection at State Library of Victoria. To see where to stay, ratings, photos, and tourist information, you can read our Melbourne trip builder app . You can fly from Sydney to Melbourne in 3.5 hours. Other options are to do a combination of flight and shuttle; or drive. Plan for little chillier temperatures traveling from Sydney in October, with highs in Melbourne at 24°C and lows at 9°C. Finish up your sightseeing early on the 18th (Fri) so you can travel to Uluru-Kata Tjuta National Park. Uluru-Kata Tjuta National Park is known for nature, museums, outdoors, trails, and classes. Your plan includes some of its best attractions: explore the striking landscape at Uluru, hike along Uluru Hiking Path, take in the exciting artwork at Walkatjara Art, and appreciate the views at Valley of the Winds. 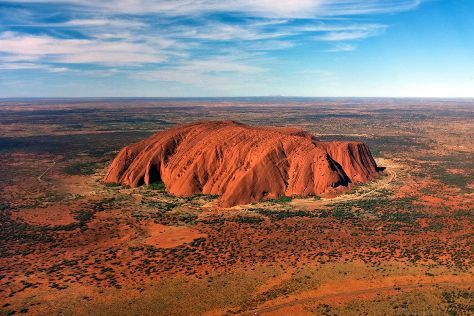 To find other places to visit, traveler tips, maps, and tourist information, read Uluru-Kata Tjuta National Park online trip itinerary maker . You can fly from Melbourne to Uluru-Kata Tjuta National Park in 5 hours. Another option is to drive. While traveling from Melbourne, expect much hotter days and somewhat warmer nights in Uluru-Kata Tjuta National Park, ranging from highs of 38°C to lows of 18°C. Wrap up your sightseeing on the 21st (Mon) early enough to travel to Port Douglas. Spend the 22nd (Tue) among aquatic life with a scuba or snorkeling tour. Spend the 24th (Thu) spotting exotic species with a safari tour. Next up on the itinerary: look for all kinds of wild species at Hartley's Crocodile Adventures, learn about wildlife with up-close encounters at Wildlife Habitat Port Douglas, get outside with The Bump Track, and don't miss a visit to St Mary’s by The Sea chapel. For maps, photos, more things to do, and tourist information, go to the Port Douglas trip itinerary planner . Do a combination of flight and shuttle from Uluru-Kata Tjuta National Park to Port Douglas in 6 hours. Alternatively, you can drive. Expect a bit cooler weather when traveling from Uluru-Kata Tjuta National Park in October: highs in Port Douglas hover around 34°C, while lows dip to 23°C. Wrap up your sightseeing on the 25th (Fri) early enough to travel to Cape Tribulation. Start off your visit on the 26th (Sat): explore and take pictures at Cape Trib Farm, then go for a walk through Marrdja Botanical Walk, and then delve into the lush surroundings at Daintree Rainforest - Cooper Creek Wilderness. Get ready for a full day of sightseeing on the next day: admire the sheer force of Alexandra Bay Waterfall, tour the pleasant surroundings at Myall Beach, and then trek along Dubuji Boardwalk. To find where to stay, photos, other places to visit, and tourist information, read our Cape Tribulation trip itinerary planner. Do a combination of car and ferry from Port Douglas to Cape Tribulation in 2 hours. Alternatively, you can take a bus. In October in Cape Tribulation, expect temperatures between 34°C during the day and 23°C at night. Cap off your sightseeing on the 27th (Sun) early enough to catcht the bus to Cairns. Get out of town with these interesting Cairns side-trips: Palm Cove (Kayaking & Canoeing & Palm Cove Beach). Spend the 28th (Mon) among aquatic life with a scuba or snorkeling tour. Spend the 30th (Wed) wandering through the wild on a nature and wildlife tour. There's lots more to do: stroll through Esplanade Boardwalk, pause for some serene contemplation at St Monica's Cathedral, enjoy some diversion at Esplanade Lagoon Pool, and admire the natural beauty at Botanical Gardens. To see where to stay, traveler tips, other places to visit, and tourist information, use the Cairns trip planning site . Getting from Cape Tribulation to Cairns by bus takes about 3.5 hours. Other options: drive. In October, daytime highs in Cairns are 34°C, while nighttime lows are 24°C. Finish up your sightseeing early on the 31st (Thu) so you can travel back home.